You can impact the lives of numerous children by volunteering to teach in Europe. 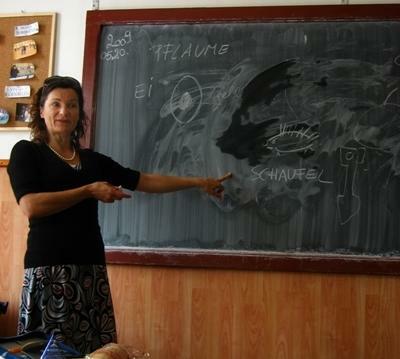 You don’t have to be a teacher to volunteer abroad on our teaching projects. There is no need to have a TEFL or TESOL qualification to gain international teaching experience. You don’t even need to speak the local language where you are volunteering. The teaching program is open to all volunteers whether you are on a gap year, at university or wanting a career break. You will find a warm welcome awaits you from our students in Europe. Whether you are interested in teaching English or teaching French, a variety of opportunities are available in urban settings within Romania. Volunteers have the opportunity to teach students in primary and secondary schools, and often work alongside local teachers as collaborative counterparts. Teach in Europe - What Is It Like? You will find that schools in Europe encompass a wide range of resources. Most are well equipped with educational tools, yet are understaffed in their language departments. As a teacher of either English or French, you will provide students with valuable language skills. In addition to those offered in the educational environment, you may find that the greatest tool and bridge for effective learning is yourself. The students will want to find out about you, the country you come from, and your interests, topics that can be incorporated into many language lessons. Whatever skills and talents you have, teaching in European schools offers a rewarding combination of the new, exciting, and life-changing, as well as the opportunity to grow both personally and professionally.